The Royal Solent Yacht Club will always adhere to the current data protection legislation and takes seriously its responsibilities to protect personal data. All of the information provided on this entry form, excluding payment details, which are processed by SagePay, will be stored on Royal Solent Yacht Club computers and those of our Website Provider, Pepper Creative, so that we can manage your entry to the Folkboat Week and your bookings as a social attendee. Management of your race entry includes, but is not limited to, assigning your boat to the correct class, checking your boat's rating, sending necessary materials to you via email or surface mail, contacting you prior to the event via phone or email to resolve any queries regarding your entry, contacting you during the race to inform you of messages, protests and other key information, producing results and publishing them in the Club and on our website and providing printed and electronic lists that include your boat details (boat name, sail number, hull colour, design and length) to our race management team. A subset of your data will be publicly visible on our website and in the Club in the form of a 'Competitor's List' and in the form of a 'Results List', which may also be distributed to other entrants. Details may include, but are not limited to: Division, group, boat name, boat type, sail number, bow number, club, name of owner/helm, name of entrant and handicap rating. if you have booked a mooring in Yarmouth Harbour through our online booking system, the necessary information will be passed to the harbour to enable them to process and manage your booking (boat name, design, length, helm's name and helm's contact telephone number). We will retain your personal data on our computers after Folkboat Week so that you can make an entry to future Folkboat Weeks and other RSYC events without needing to re-enter all of the information. We will also retain the website data as a historic public record of your participation in the Race. You may request to see the personal information that we hold about you at any time and/or request that such personal information is deleted. 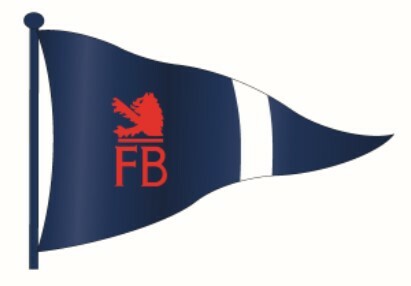 The Club may arrange for photographs or videos to be taken of Folkboat Week, both ashore and on-the-water, for publication on our website, in our magazine, in Sailing related media channels and via social media channels to promote the Club. The entrant authorises the use of their name, voice, picture and video along with any information provided on the event entry system/ form to be used without payment in any broadcast, telecast, communication, promotion, or advertising. The entrant also agrees that the information provided may be used by the event organisers for the purpose of promoting future or other events. 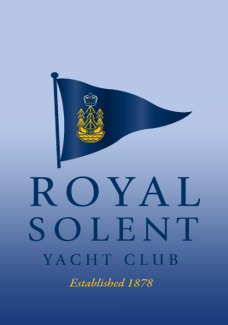 All entry fees, payment for social events and items purchased in relation to any Royal Solent Yacht Club event are non-transferable, non-refundable and cannot be replaced if lost, stolen, damaged or unavailable for any reason whatsoever. The Committee reserves the right to retain any entry fees in the event that any Royal Solent Yacht Club event has to be cancelled, for whatever reason. 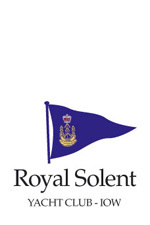 The Committee reserves the right to refuse any entry to any Royal Solent Yacht Club event without giving a reason and to make alterations to the Programme, Notice of Race and other documentation. I wish to enter my boat in Folkboat Week 2018. I certify that the particulars of my boat as stated on this form are correct. I consent to the use of personal data in accordance with points 1-6 listed above. I agree to be bound by the Racing Rules of Sailing and all other rules that govern Folkboat Week. I confirm that I have read the Notice of Race including the Risk Statement and accept its provisions and agree that that my boat will conform to the requirements set out in the Notice of Race throughout Folkboat Week. I make these declarations on my behalf and as an agent acting on behalf of all persons on board the boat entered into Folkboat Week 2018. I confirm that I am a fully paid up member of the UK Folkboat Class Association for 2018.